Race to the Direct Object Pronoun! 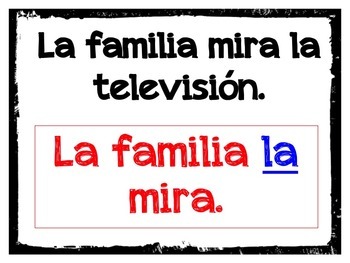 Instructions In order for a student of Spanish to speak fluidly, matching the direct object to the correct pronoun has to be second nature. The teacher needs only to separate the class into two teams. 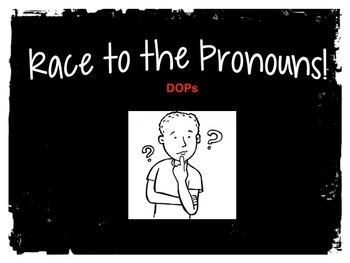 One member of each team will compete with another to be the first to correctly write/state the sentence written with a direct object pronoun. 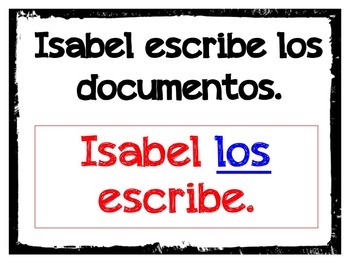 All students participate by writing their responses on a piece of paper. Teacher is to call a number. 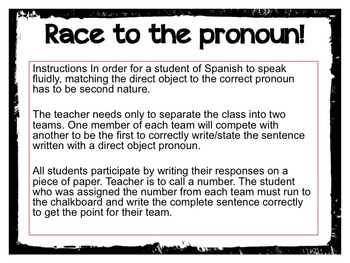 The student who was assigned the number from each team must run to the chalkboard and write the complete sentence correctly to get the point for their team.